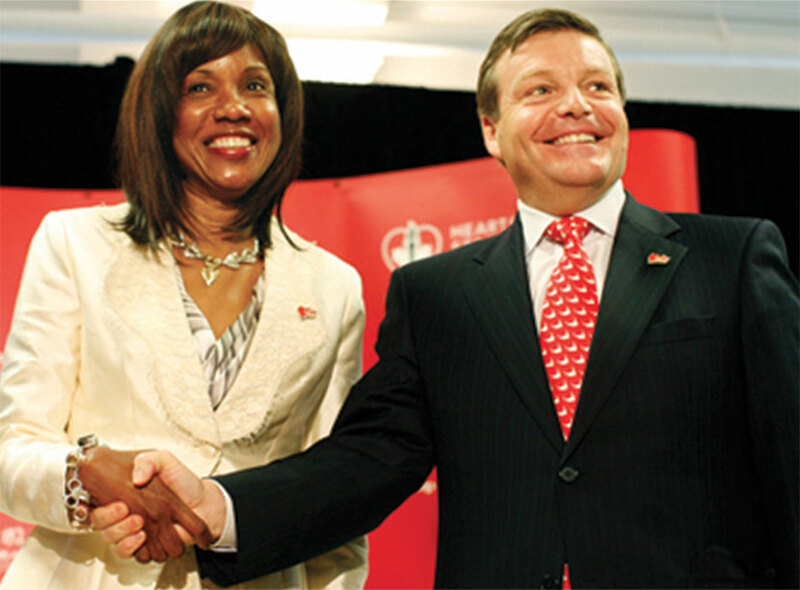 The Heart & Stroke Foundation of Ontario initiative was to develop a brand under which all their collective child-directed activities would fall. 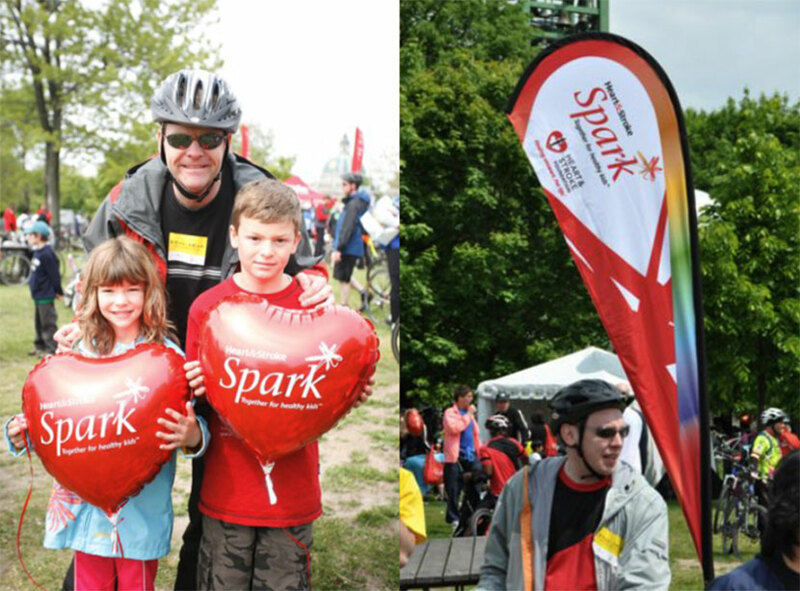 The Heart & Stroke required a province-wide initiative designed to support and assist passionate community champions who want to work together to improve the health of Ontario’s kids. The threat was the alarming rise in the number of overweight and obese children in the province. The brand mission was to create social change that has a sustainable impact on the physical health and well-being of children. Challenge: To articulate the problem in a new and compelling way: to provoke conversation about solutions, to bring key stakeholders together and to create the energy to galvanise community action. 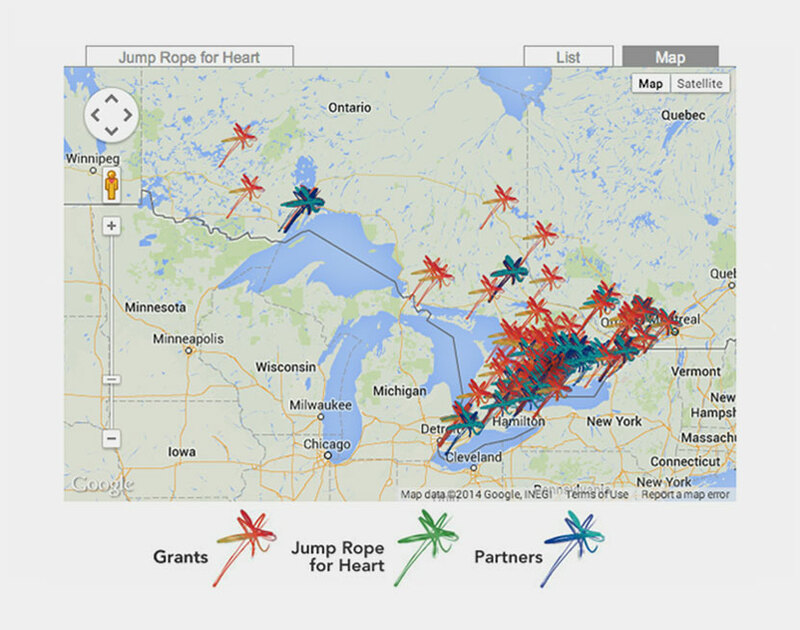 In short, we were asked to partner to inspire a social movement to build a healthy Ontario. Solution: 'Spark Together for Healthy Kids' initiative was launched nationwide in May 2009 by the Honourable Margaret Best, Minister of Health Promotion and David Sculthorpe, CEO, Heart and Stroke Foundation of Ontario. Initially the campaign was lead by a viral animated video. 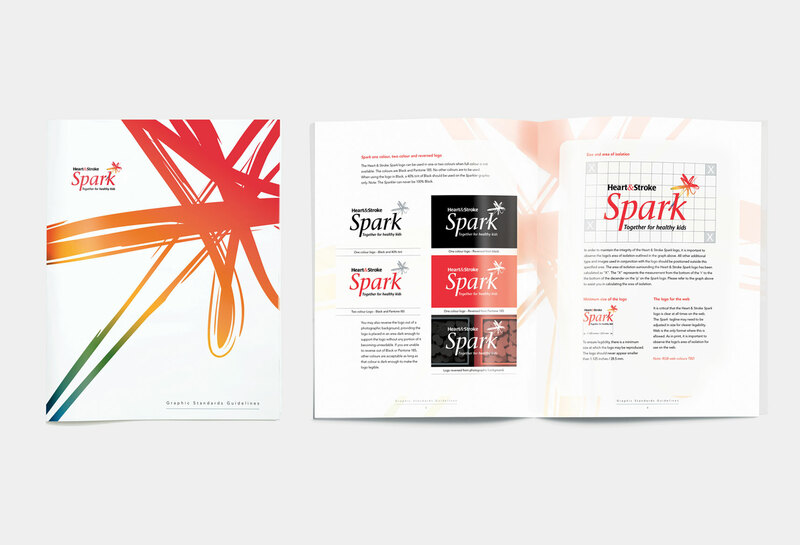 This unique typographical approach ignited the Spark brand to life. This was quickly followed by a convention centre launch in Toronto, cinema nationwide, newspaper, radio, oversized brochures, sub-site and on-line advertising. 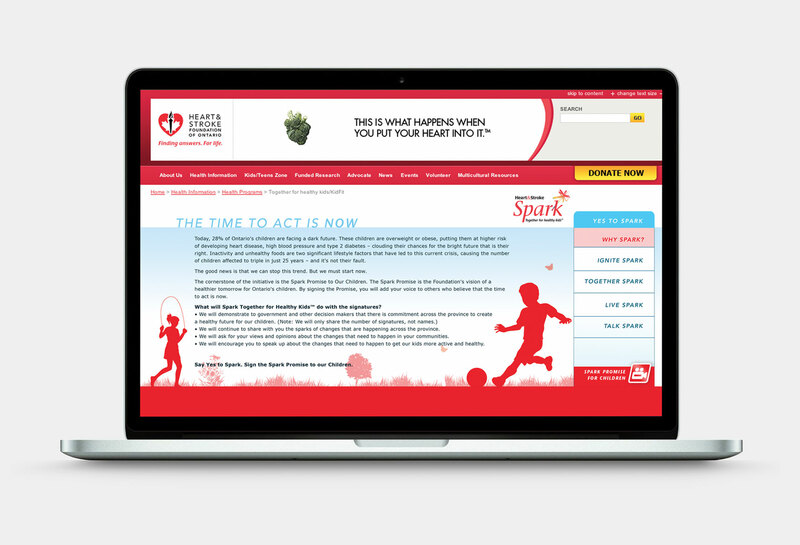 A new 'Spark' campaign identity was developed and initiated for all on-line and print campaign material. In order for new design to support the existing Hearth and Stoke brand identity and positioning, specific ‘Spark’ Graphic Standards Guidelines were created. 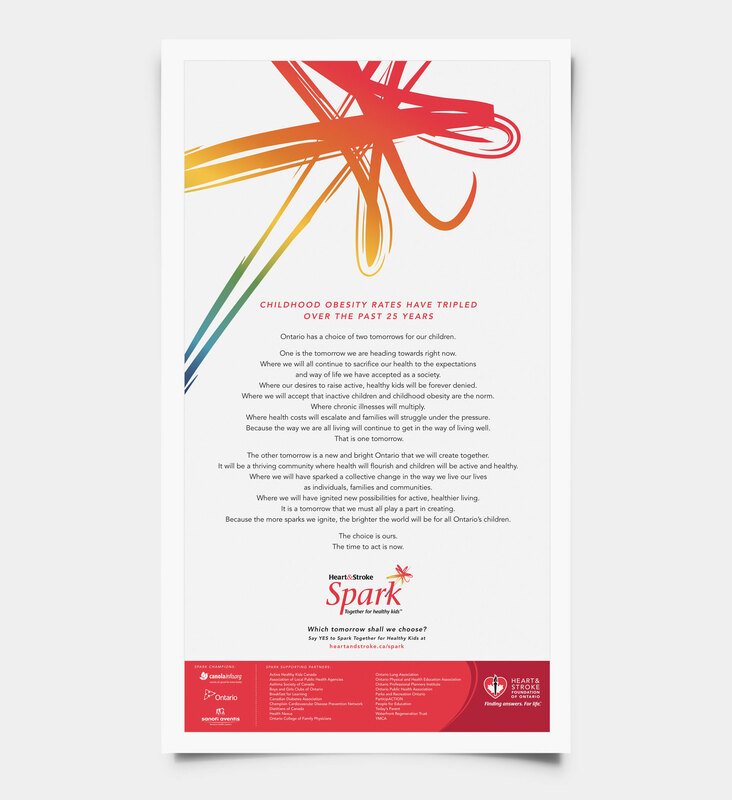 Full-page Spark typographical advertising was placed on a daily basis in national newspaper across Canada. 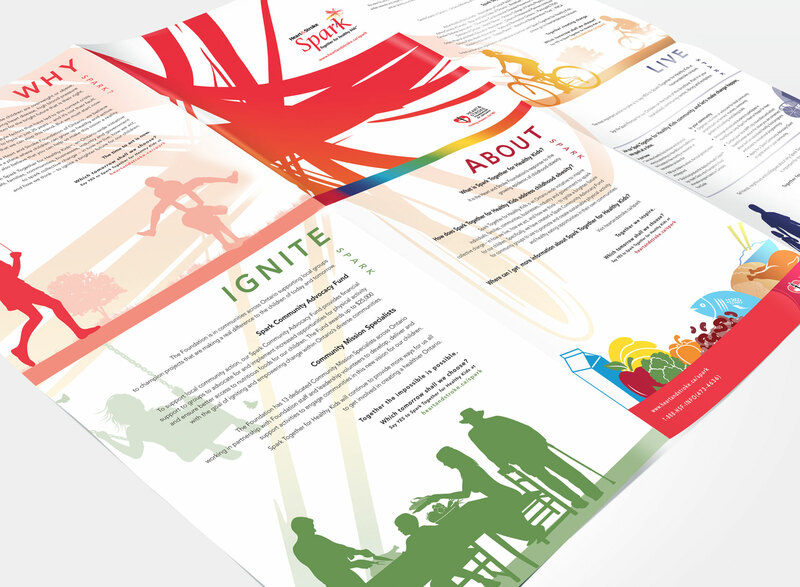 This copy driven approach continued to highlight the Spark manifesto. 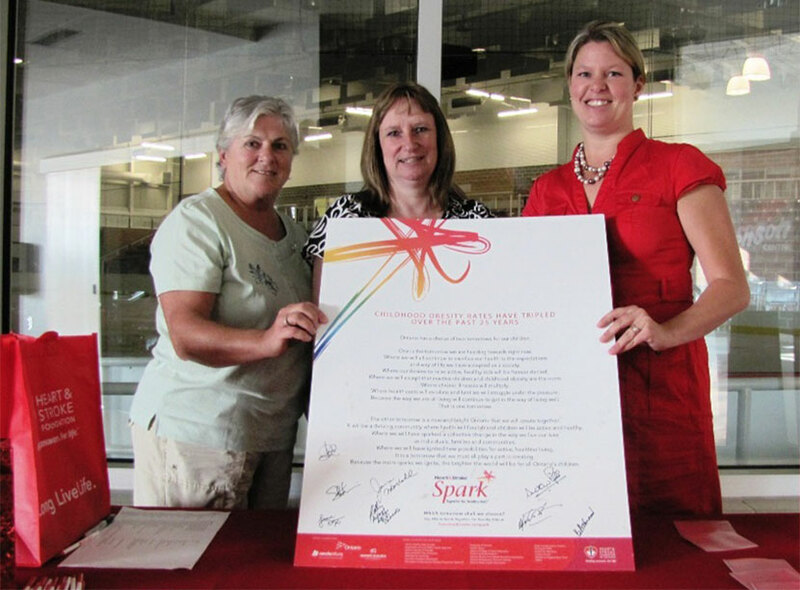 Spark events were launched across the province and Canada and Spark networking event to celebrate its accomplishments and raise awareness about the Spark Advocacy Grant. Response: Within a few short months the total number of visits to the Spark web site was 205,000 ...and growing. Total number of people who signed the Spark Manifesto was 85,000... and growing. Spark generated public awareness by engaging the public to take action and demand public policy solutions that will enhance community wellness across the province. 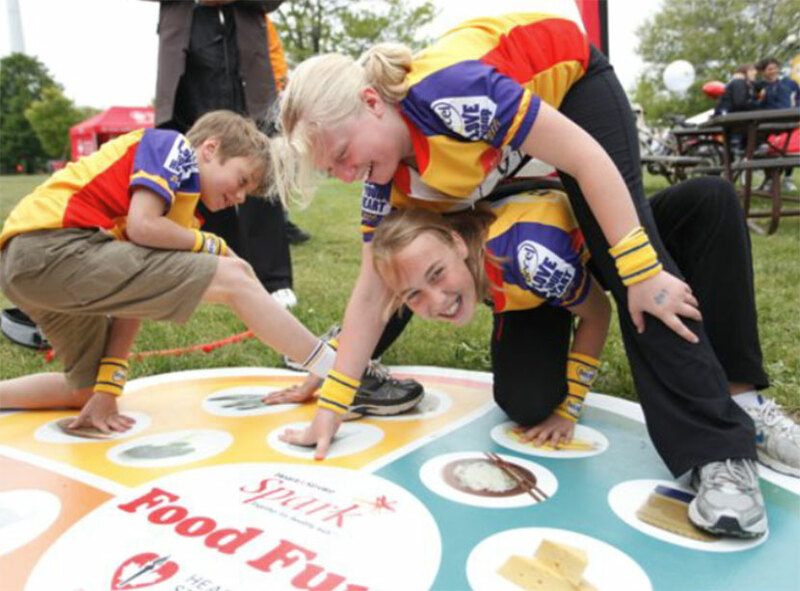 Spark has also lead advocacy by encouraging levels of government to commit to policies, programs and investments that support physical activity and healthy nutrition among children and youth.